If there is anything I love more than the movie Legally Blonde it’s the Broadway musical version of it. Even if you’re a tiny bit of a fan of the movie, you’ll love this hilarious yet inspiring version that includes plenty of dancing, music and some of the best dialogue. That is why I was beyond excited when Aristry announced earlier this year that they would be opening their new season with it and I couldn’t wait to see it. It could not have come at a better time for Artistry (and Lyric Arts which announced they’d be doing it next summer) seeing as Reese Witherspoon recently confirmed that she was in for Legally Blonde 3. 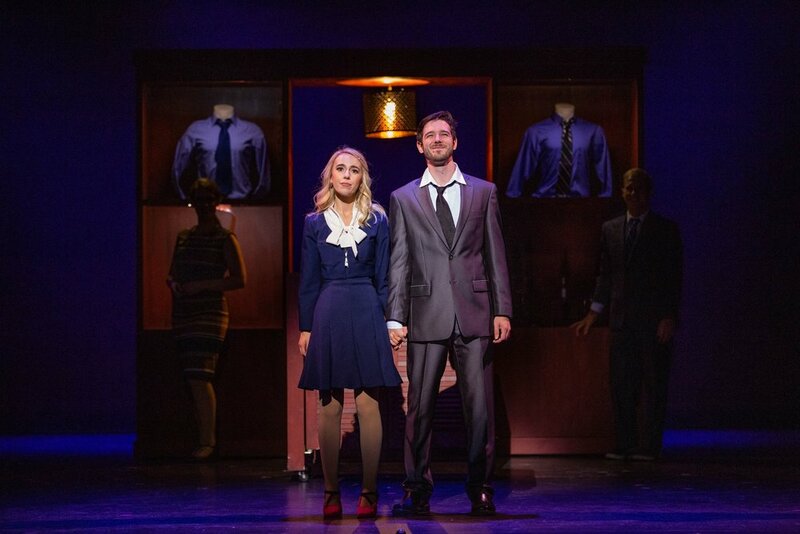 Legally Blonde the Musical follows the same story we all know and love. Elle Woods seems to have it all. She is President of the Delta Nu sorority, as a perfect 4.0 GPA (in fashion merchandising…), fantastic friends and a boyfriend who could pass for a Kennedy. The night comes when she thinks the love of her life, Warner, is proposing to her only for her to figure out he’s dumping her before heading off to Harvard Law School. Crushed and humiliated, Elle is determined to get him back and manages to get accepted into the Ivy League School (What like it’s hard?). While there she struggles with Ivy League “Mean Girls,” classes, professors trying to prove to Walter that she is a “Jackie O and not a Marilyn.” However she soon discovers her true potential and sets out to prove herself and shows how she’s actually so much more than what people took her for. From a technical side, this show really impressed me. I’ve seen various productions of Legally Blonde and I’ve never been too enthused with it however scenic designer Joel Sass I think really outdid himself with this set. While it consists mostly of moving pieces that are wheeled on and off the set, as well as a few flown in pieces, you get a feel for where we are every scene change. The show includes a lot of scenes are that are in a variety of different locations, so I appreciated that the scenes were so distinguished by the set pieces. The stage is also framed with an intricate lace like design that is of course painted in a pink shade. Hints of Elle’s signature color, pink, are sprinkled throughout various scenes as well. The costumes are also all beautifully created by Ed Gleeman and Elle’s costumes alone deserve special recognition. Director Angela Timberman has put together a very talented cast who all bring a special sparkle to the show. The ensemble, who also double for various roles throughout the show, perform magnificently with amazing choreography by Heidi Spesard-Noble and fantastic singing. Some highlights include Maggie Mae Sulentic, who plays Vivienne Kensington, and plays the mean girl so well while also revealing a killer belt at the end of the show. Alec Leonard, who plays Warner Huntington III, was suave and charming during many scenes however lacked to stay on pitch during his biggest song “Serious.” Mary Palazzolo, who plays Paulette Bonafonte the nail/hair stylist who befriends Elle, is a comedic whit and has a stellar set of pipes with such a full voice. The two leading performers were Angela Steele, as the title role, and Benjamin Rubenstein as Emmett Forrest. Rubenstein is the definition of “adorkable.” The character already is so charming and sweet that it practically writes itself on how he should be portrayed. However, Rubenstein still makes it feel fresh and also with a beautiful voice as well. Understandable as he was also the Assistant Music Director. 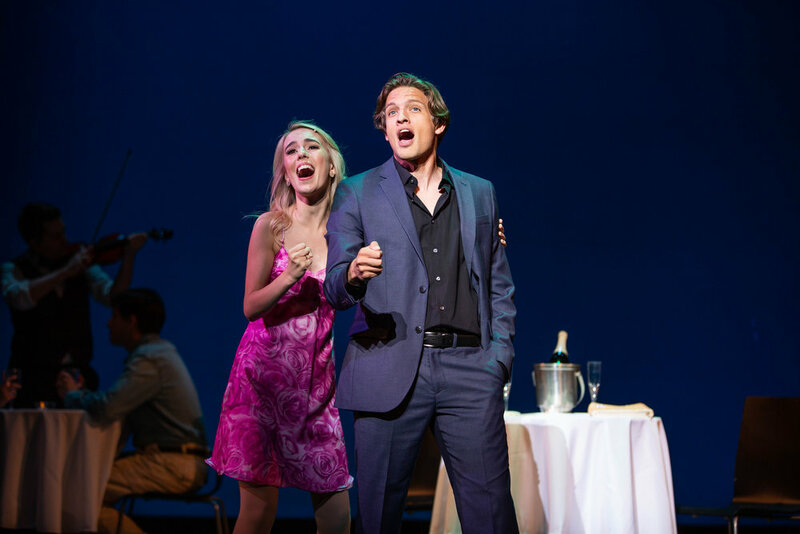 Steele is the perfect Elle Woods. They could not have cast it better. She is strong, confident and perfectly captures not only the essence but the spirit of who Elle Woods is. Steele is an extremely gifted dancer and a spectacular singer. She certainly got a spot on my list of actresses to watch out for! This show is so perfectly put together. It has everything you love about the movie along with some fresh new aspects like a killer score and one of a kind lyrics. I cannot stress how charming it is and how great of a night you’ll have when seeing this show.